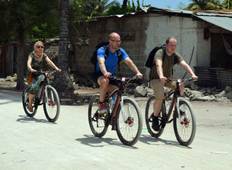 "My partner and I went on bike safari for 10 days to Pangani and Zanzibar with Kili..."
"Really had such a great trip. 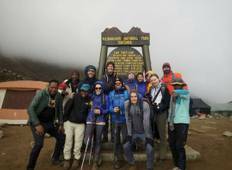 Knew enough of what was going on to be at ease and..."
"I would recommend Almighty Kilimanjaro for the best service in Mount Kilimanjaro..."
"Great trip and the guide was great, even though we ca't remember his name!" "The tour was such an exquisitive experience. Services and guides are top notch. Thanks..."
"Overall, a fantastic trek with great guides (Dennis, Nasri and Bajuta) and other..."
"First I must say, I am blind. I lost my sight at the age of 19 from the eye disease,..."